Harvard University mail distribution center with hardwood veneer accent panels. Our mail rooms are Beyond Standard. 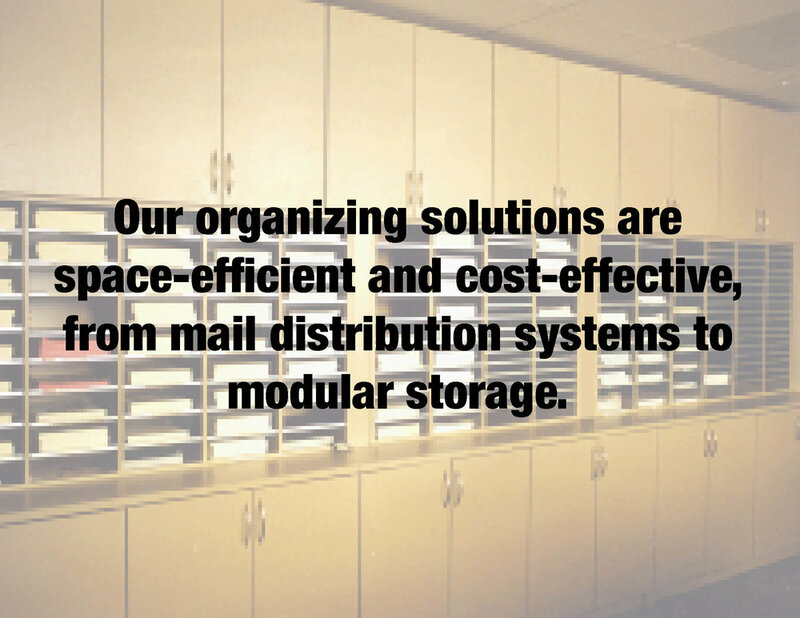 Restricted access mail organizing system, with lockable access doors. Plexiglas door slots allow placement of incoming mail, prevent removal without key. Modular storage/work wall in 4 re-configurable sections for Time Inc., each sized for specific activity requirements. Incoming and outgoing mail organizing system for Time Inc. Adjustable shelves for individual pick-up, and dispatch desk for preparing outgoing documents and parcels. Beyond Standard casework including custom sized flat files for Tiffany, and a curved storage pedestal for Toyota, to reflect the circumference of curved glass walls positioned behind it.